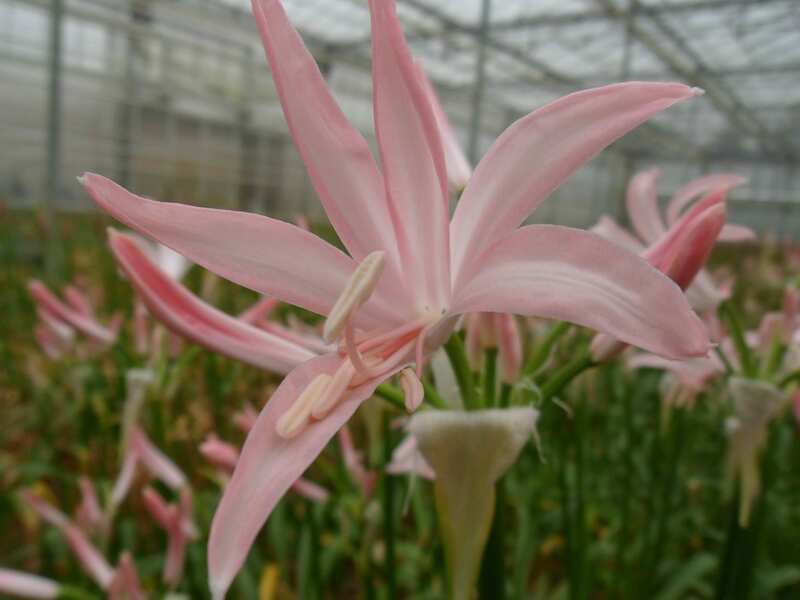 De Wit Nerine started in 1966 in Beverwijk by father Piet. 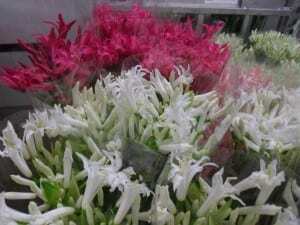 At that time he grew Tulips Gladiolus, Narcissus and salad carrots and beans. 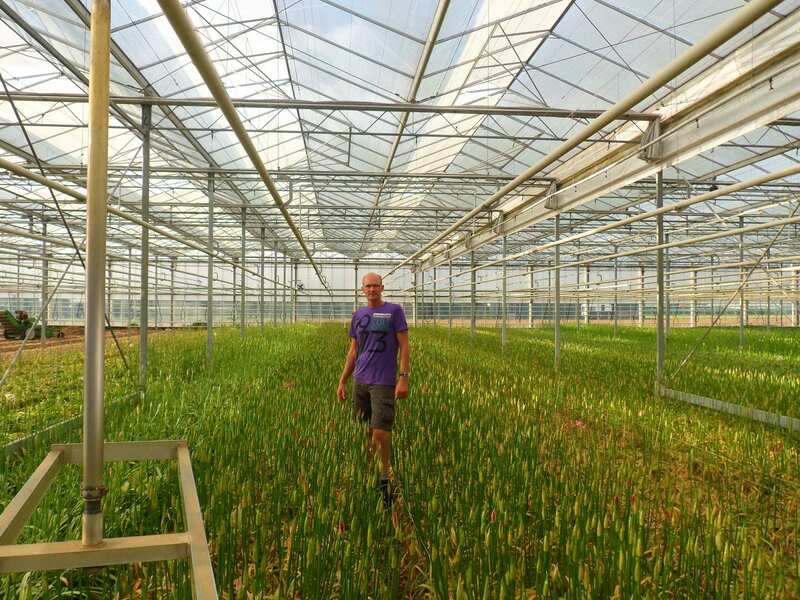 In 1969 he first started with Nerines and in 1979 moved to Heemskerk and in 1986 his son Robbert joined the company. 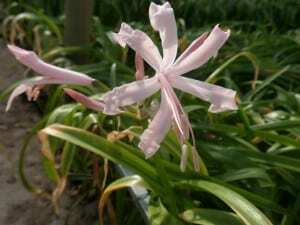 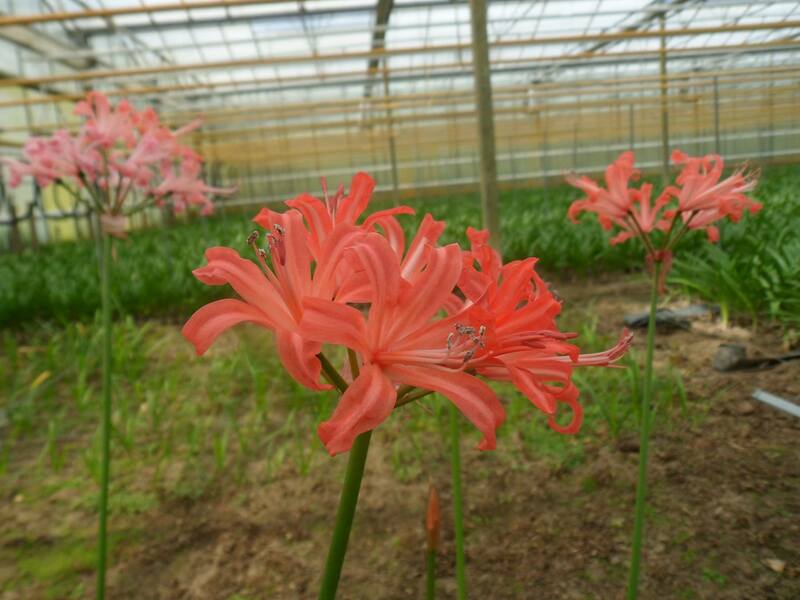 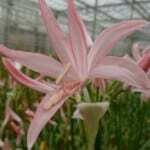 At the moment they produce Nerines in 9000 m2 glasshouse and 1 ha outside. 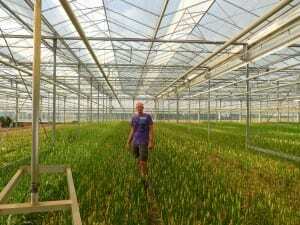 Corrie and Robbert de Wit who are now the two owners, together with their team, grow Nerines which is their passion. They choose to grow Nerines because they love them and they feel at home in a sea of them in the glasshouse. 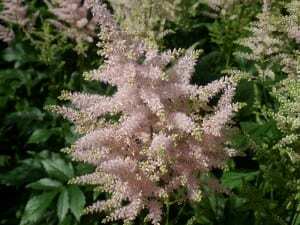 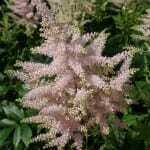 To make a living, it is their aim to grow their beauties year-round in several varieties but they also grow Astilbe ‘Europa’ because it fits in the program between the Nerines and they also happen to like the product. 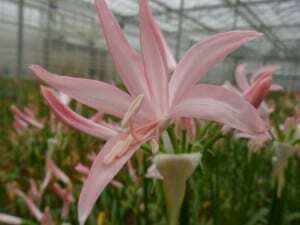 De Wit Nerine is special because they are one of the small number of growers who supplies Nerine year-round and they also try to bring the most beautiful Nerines with their own crosses to the market. 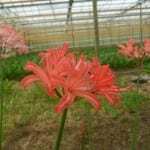 Specially for florists they would like to alert them to the special Nerines, bigger than 70 cm and sometimes measuring 1 metre. 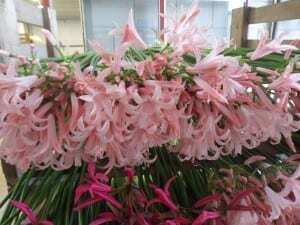 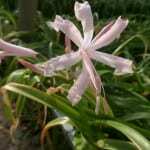 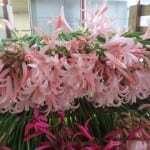 The company prefer to supply special Nerines with one or two flowers open, for the real lovers of beautiful flowers, rather than all closed as is often seen on the auction. 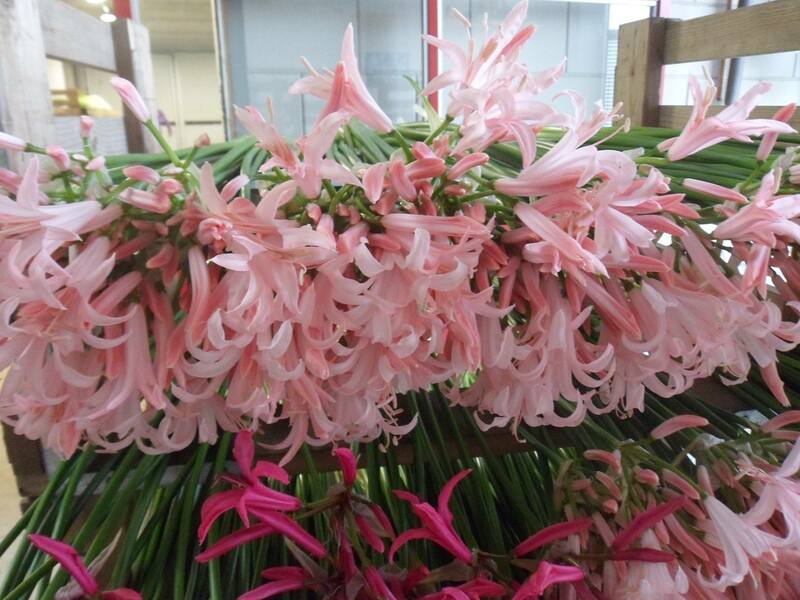 You can use the flowers directly instead of waiting them to open. 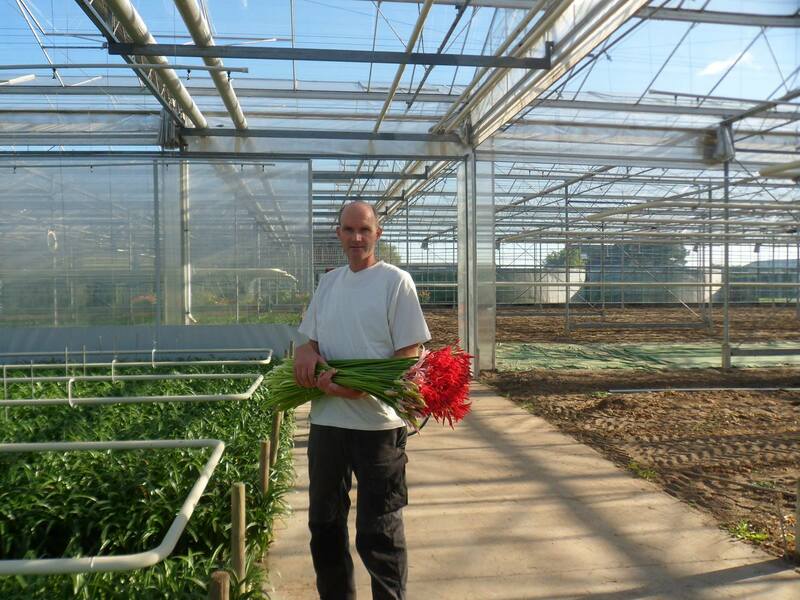 By supplying with one or two flowers open, Robbert can ensure the most natural colour and greater longevity. 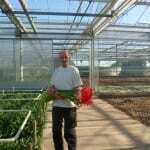 They love their company because it gives them the opportunity to do what they like to do best – grow flowers. 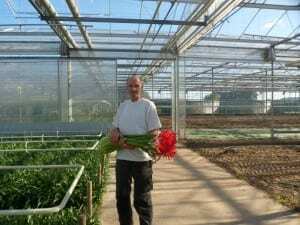 Robbert says “I like to watch the flowers in the greenhouse on a Sunday morning when it’s all quiet and the sun is coming up”. 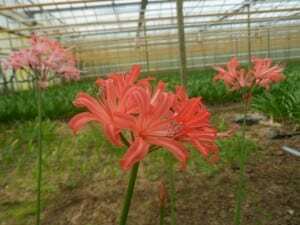 In an effort to support florists, he has come up with some special offers like Nerines at more than 80 cm, or curved ones and in supplying as we said before, with 1 or 2 heads open, he can ensure that his Nerines will stand strong for 10 days.